A Christmas tree comes from the group or class of conifers, known for bearing cones and evergreen, needle-like leaves. This class of tree and shrub grow in cooler areas of the world and are a major source of softwood, resin and turpentine. While many different trees can be used as a Christmas tree (common varieties include; Blue Spruce, White Spruce, Fraser Fir, Balsam Fir, and Scotts Pine), fir trees are most commonly sold and mass-marketed as commercial Christmas trees due to the fact that they have an incredible aroma and their needles remain the longest after being cut. Once the tree is cut down and carefully pruned, it is shaken and bound, removing excess needles and making the tree more compact for transport. Christmas trees can be found at big box stores, home repair stores, grocery store lots and even charity lots. Many specialty foundations will set up temporary Christmas tree lots where customers can browse the selection of pre-cut trees of all different sizes and shapes, depending on what they’re looking for. Are There Other Ways to Acquire a Christmas tree? Shopping for Christmas trees at tree lots and stores is one of the easiest and most popular ways to purchase a tree. However, there are more rustic and sentimental ways to acquire your Christmas tree. 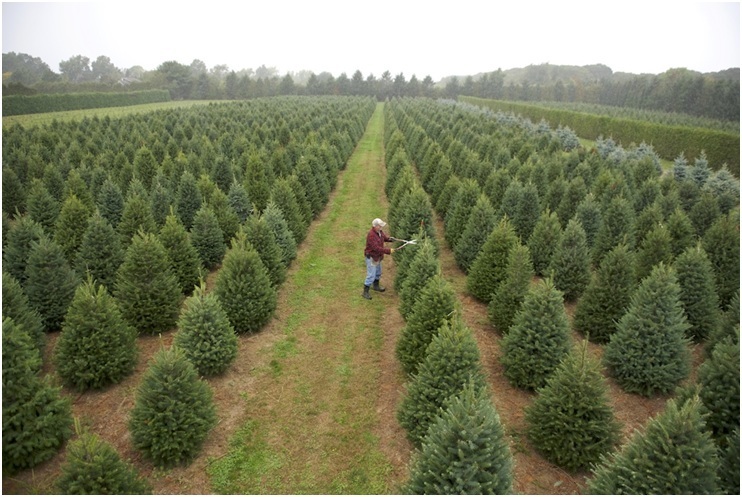 Many tree farms open up to the public during the Christmas season. This season typically runs from late November through to just before Christmas Eve (December 24th). Christmas tree farms can be a bit pricier than the tree lots, but there are many reasons why a person would want to purchase their tree from a tree farm. Tree farms are owned and operated by trained professionals who understand the environmental impact and maintenance of tree cutting. They are typically family owned and in addition to providing tips for taking care of your tree, the staff is properly trained on how to keep trees carefully pruned and maintained and the best environmental practices. Many tree farms have staff members who are ISA certified. This means they have acquired the highest level of credentials they can achieve in their education as an arborist. These staff members will be able to address any questions or concerns you have about cutting your own tree. 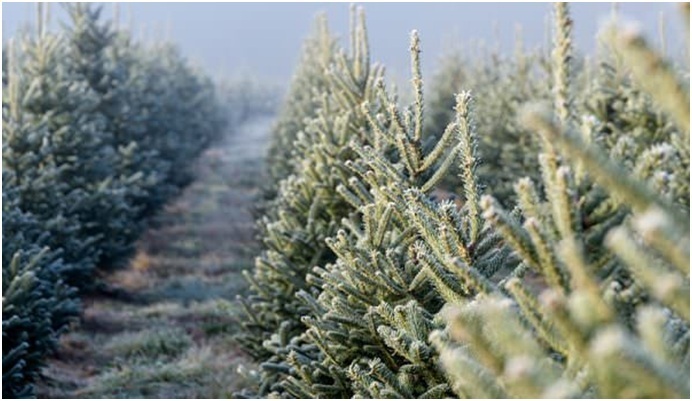 Christmas tree farms create lasting traditions and memories for families that want to experience the thrill of finding and cutting down their own tree, but there are many things these farms also do for the environment. There’s much less environmental waste involved, as unsold trees are not cut down and provide excellent cover for birds and small animals during the winter months. In most situations, three seeds are planted for every one tree that is cut down. Christmas trees grow in soil that would usually not support other types of crops and absorb carbon dioxide and contribute healthy oxygen into the environment. What Else Can You Do at a Christmas Tree Farm? If you can find the ISA certified arborist on staffwhile at the Christmas tree farm, this would be an ideal time to ask any questions that you may have pertaining to your own home landscape. These professionals are often willing to share their knowledge and give you any tips or pointers in regards to best practices on maintaining or planting on your property, so make sure to take notes!